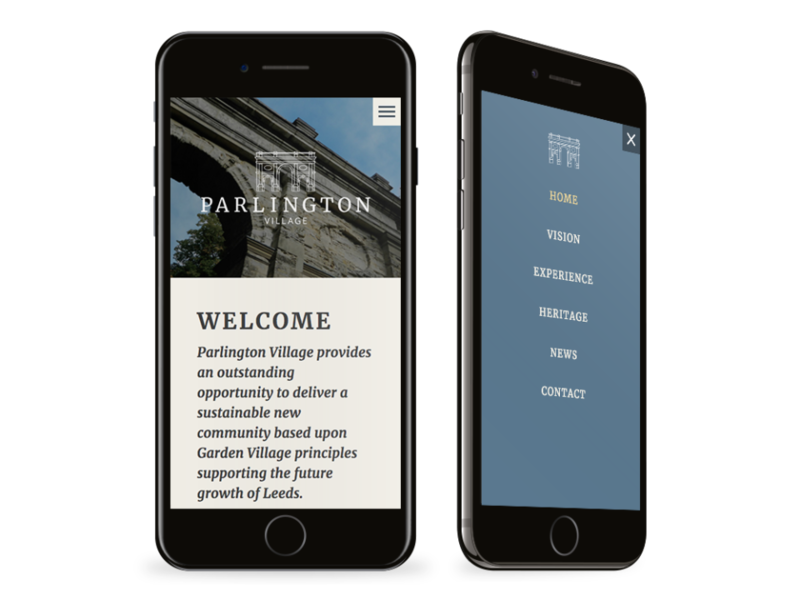 The Parlington Village project is an exciting development in Leeds which aims to deliver a sustainable new community based upon Garden Village principles. They plan to provide a range of high-quality homes, including affordable housing. A primary school, healthcare facilities and shops as well as a range of employment spaces will be considered from the outset to enable a community to grow and thrive. 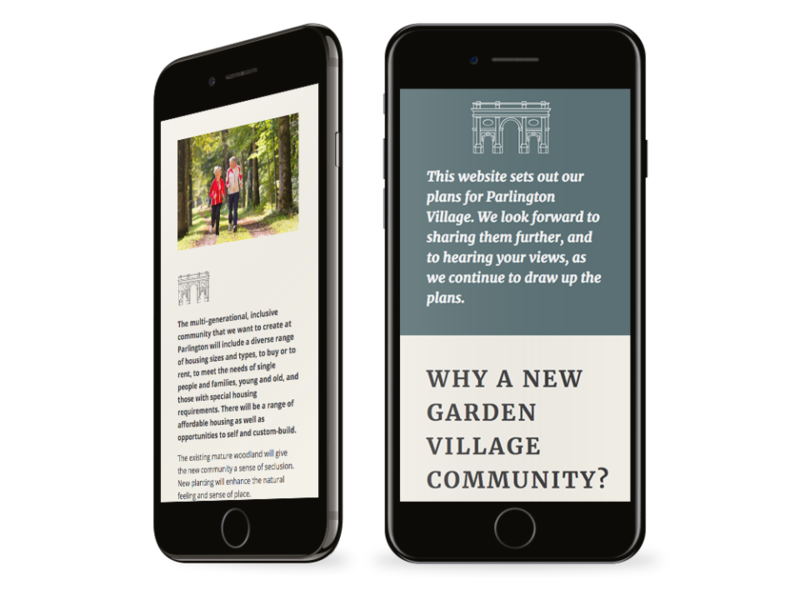 Before a new website could be considered, an update of the existing identity was required. The existing logo typography was updated with a more complimentary and contemporary font pairing. 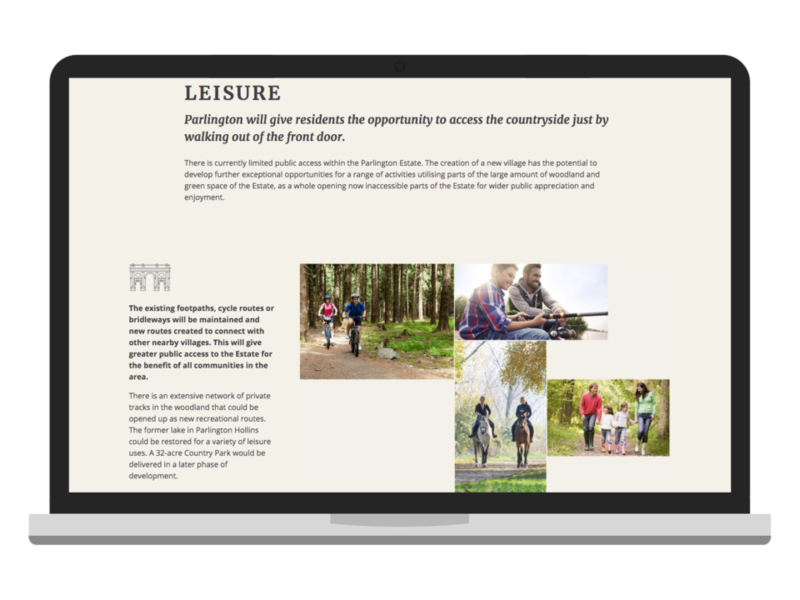 The main typeface communicates the heritage of the brand with the secondary font hinting at the modernity of the project. The icon sizing was reduced slightly to give the brand mark more balance and to give more impact to the typography. The structure of the icon was also simplified with the removal of some of the internal structural lines. The removal of these internal lines aids overall clarity. 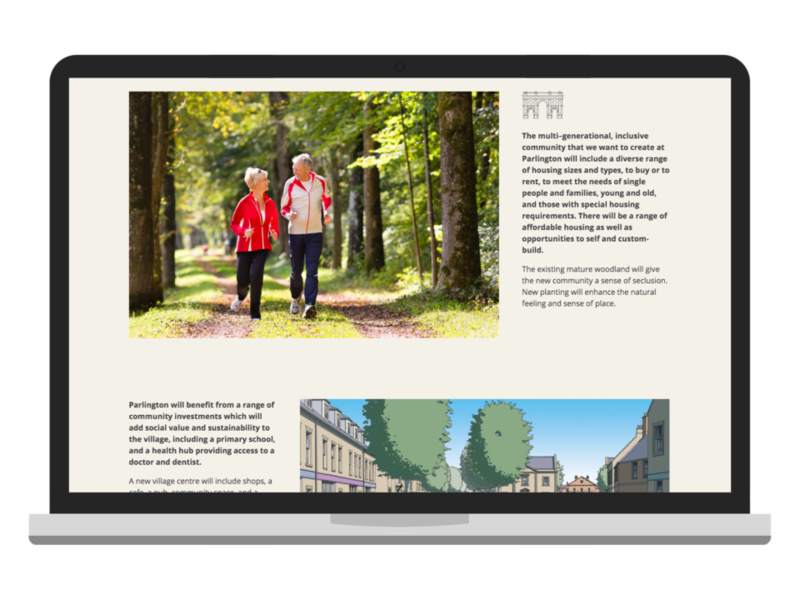 The colour palette has been modified in favour of more traditional greens, again to reinforce the heritage feel of the project. 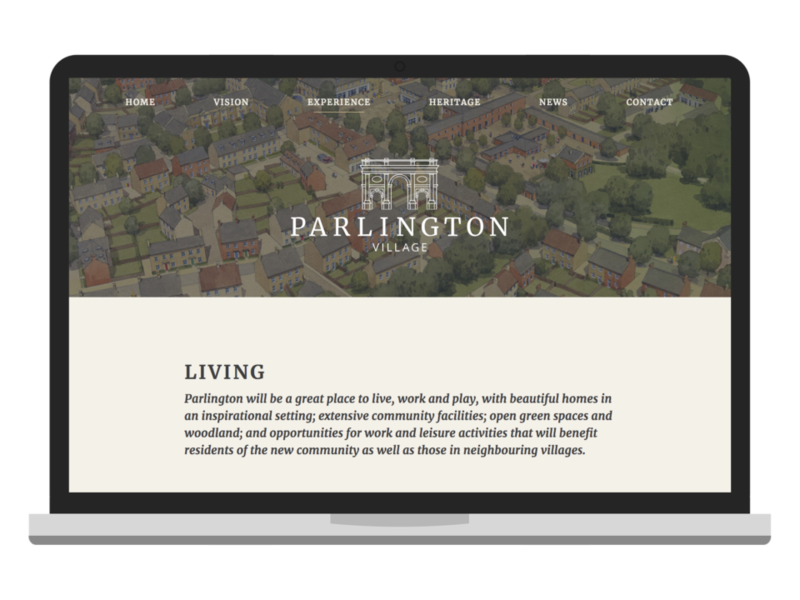 Once the new identity was finalised, work began on creating a website that would convey the quality of the Parlington Village offering, while also delivering all the relevant information on the scope of the plans. 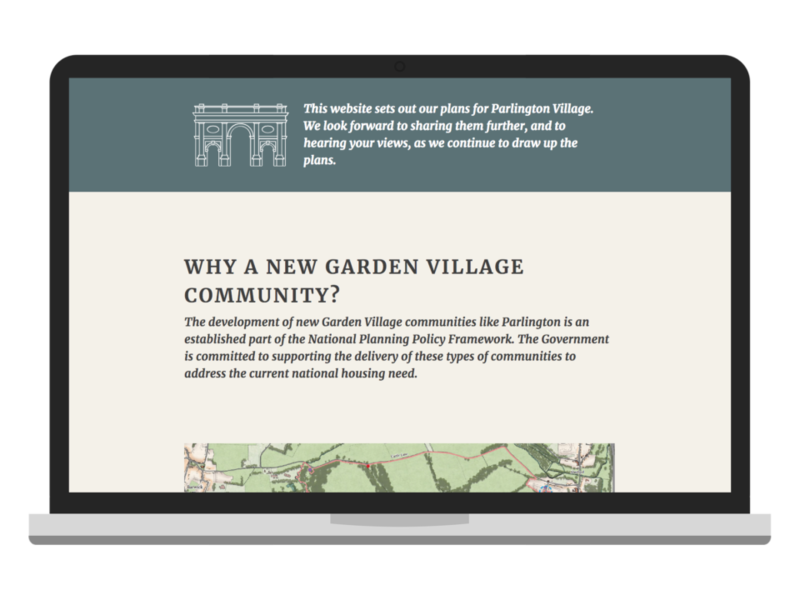 Consideration had to be given to the future growth and development of the Parlington project, and how the website will accommodate that growth going forward. The site includes a news section to keep visitors up to date and the content fresh.